Every time the Holidays roll around, my wishlist starts to extend longer than Stretch Armstrong's limbs (oh boy, remember those toys?). Alongside cool gadgets, auto equipment, alcohol, and other goodies, clothing usually sits atop of the list. Today, I share with you some of my wishes for December. I don't know what it is about wool coats with leather sleeves, but I've become a die hard fan. A bit on the trendy side, I know, but damn the combination looks good. I particularly like this Theory one above. It's expensive, but I saw it on sale at Macy's (yeah we have a legit Macy's that carries Theory) for almost half off, and was about a millimeter away from pulling the trigger. Oh man, I am going to lobby hard to get these shoes under my Christmas tree this year. 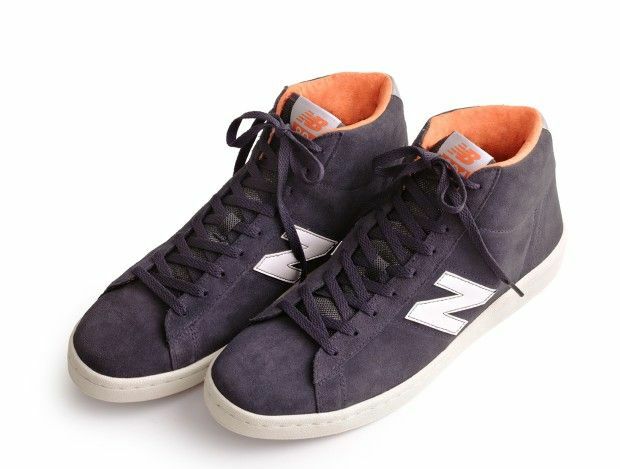 I've always been a fan of suede New Balances and these high tops are no exception, even though I think they're a JCrew collab exclusive. The color scheme, streamlined silhouette, and material all look wonderful to me. They even look comfy to boot! Whoo wee! What beauties. As many of you know, Alden is one of my favorite shoe brands in the world. One of the few remaining American shoemakers making quality product through the generations. One thing you'll notice is that these are not made of your normal calfskin leather. After looking at some Thom Browne samples the other day, I realized I really like the use of scotch grain leather on shoes, and they add a bit of pop to what would normally be a very conservative shoe design. The Unionmade ones on the link above are sold out, but I think JCrew sells something similar here. It looks like GQ is partnering with GAP once again to deliver some really unique pieces, designed by some of the top designers, to the general public. The collection isn't set to be out until December 15th, but GQ offered a sneak peak into some of their favorite pieces. I really like this backpack by En Noir. I felt like there was a time when leather backpacks were a bit gaudy, but that time is no more. This slim, simple, elegant design just works, and I'll definitely take a look to verify quality when the collection comes out. Anyhow, there's my December wishlist. Even though I'm trying not to buy any clothing, I will certainly be looking out for ways to get some of these things come January. Hoping that sales roll around by then! Stay warm out there, fellas.